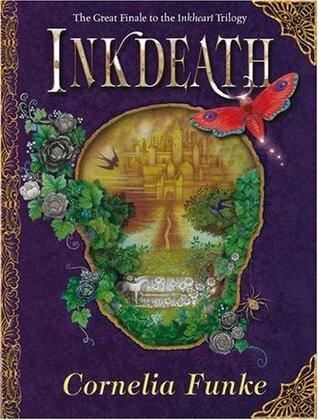 This final installment in the captivating INKHEART trilogy finds our heroes trapped within the beautiful but dangerous (and fictional) world of Inkheart. The entire novel has a very somber tone, with clear “the grass is always greener” themes. Meggie, among others, yearned for this magical world and, now here, she yearns for home. Neither will ever fulfill her completely. This series features a huge cast of interesting characters and unfolds through short chapters in alternating viewpoints. I will confess that multiple viewpoints is never my preference. Funke is a master with her material, but nevertheless I find that when the viewpoint splits so does my investment. Rarely do I invest as strongly in multiple viewpoint stories as I do with one perspective. It lends too much to the idea of each character as an almost insignificant piece in an overwhelmingly huge puzzle. I would like to back up and describe the premise of this third installment, but with so many characters and plot lines it feels too complex to summarize. Of course, those who read the first two novels have an idea of where the story’s headed. To do my best, I’ll suggest that this entire third book is a long and dramatic showdown between Meggie’s family (among others) and the evil Adderhead. As always I adore that books play an active role in both the story and the magic of this series. An exceptional book becomes the key for either success or failure in overcoming the Adderhead. Despite my disinclination for series with so many viewpoint characters, the INKHEART trilogy will go down in my memory as a classic favorite. 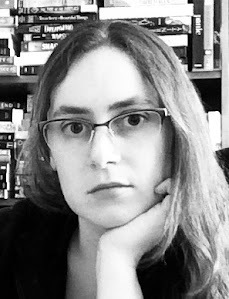 I, too, understand the perhaps misguided yearning for the magical world of Inkheart.